Looking for a road with little to no traffic for a good summer roll? 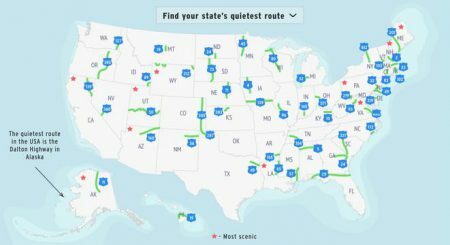 GPS company Geotab has created an interactive map of the least travelled roads in America. Click your state and dive in. One word of caution, however, while California’s US 139 (between Susanville and the Oregon border) is listed as the least travelled road in California, we drive it all the time and have to say it’s not exactly a ghost road. In fact, we’ve been backed up for miles during summer road construction, so beware.